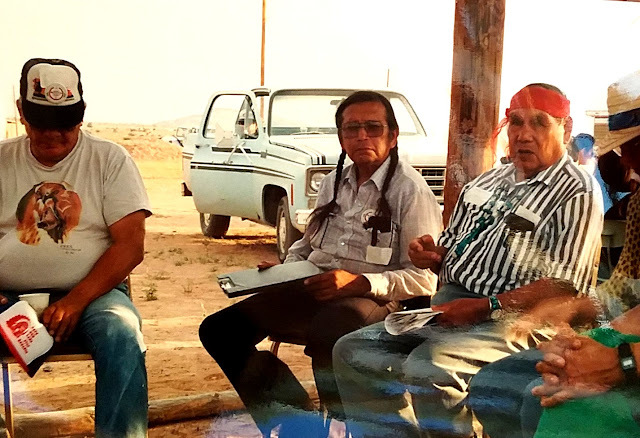 Photo Jim Main of Fort Belknap; Chief Johnny Jackson, fishing rights champion on Columbia River, Celilo Falls, Oregon, and Hopi Spiritual Leader Thomas Banyacya at Dine CARE' gathering on Navajo Nation 1990. This month, Censored News celebrates our 13th birthday, with nearly 19 million pageviews. What began as a humble attempt to expose what was being censored in Indian country, grew into a collective of voices. Writers, photographers and broadcasters have shared their work from the homelands and frontlines. Global translators have carried these movements around the world. It has been a labor of love, without any advertising, grants, revenues or salaries. Today, we remember the heroes of the environmental justice movement in Indian country, who stood up for Native rights, at a time when the forces of the media and politicians sought to destroy them and the environmental justice movement. In the Northwest, Native fisherman upholding fishing rights went to prison for fishing. Dine' died of broken hearts when they were relocated from their homelands on Black Mesa. 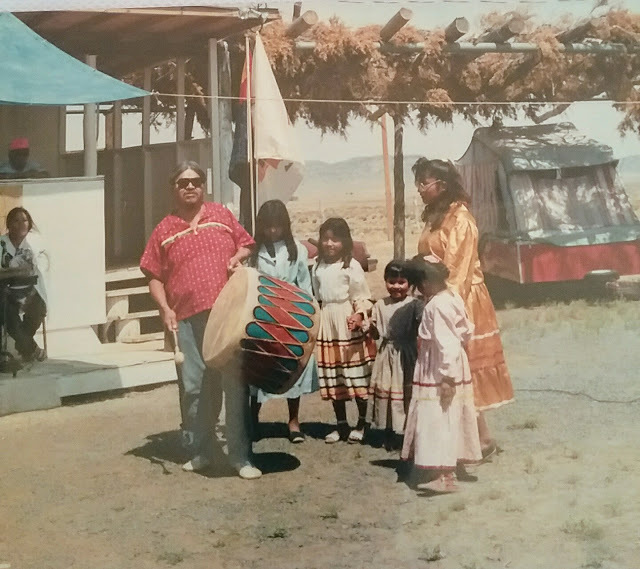 Others were disappeared, suicided, and found dead after being threatened, including my friends, Leroy Jackson, co-founder of Dine' Citizens against Ruining our Environment, Dine' CARE, and Cate Gilles, journalist on Navajo and Hopi lands. Leroy halted the clear cutting of the old growth yellow pines in the Chuska and Tsaile Mountains on the Navajo Nation. 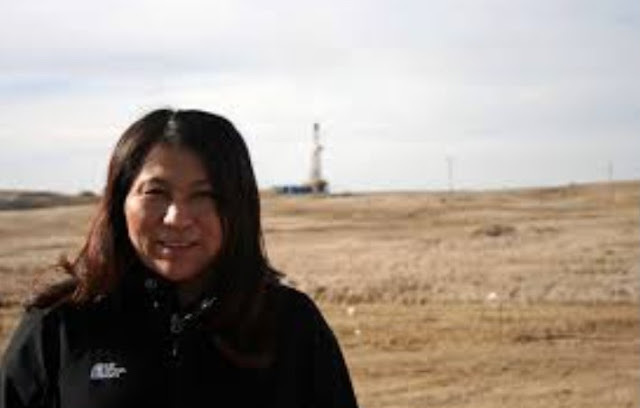 Cate exposed radiation from uranium mining in the Grand Canyon and truth about Dine' relocation, Peabody Coal and the Hopi and Navajo who fought these monsters together. We remember our heroes and legends. 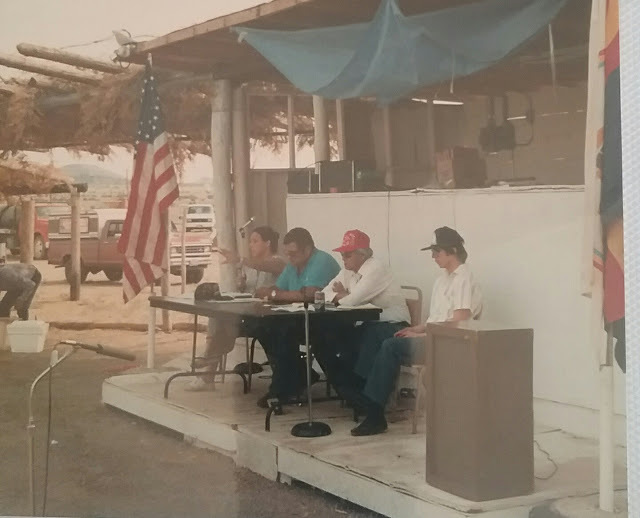 Read about the Birth of the Environmental Justice Movement in Indian Country, Dine' Citizens against Ruining our Environment gathering, Dilkon, Navajo Nation 1990. 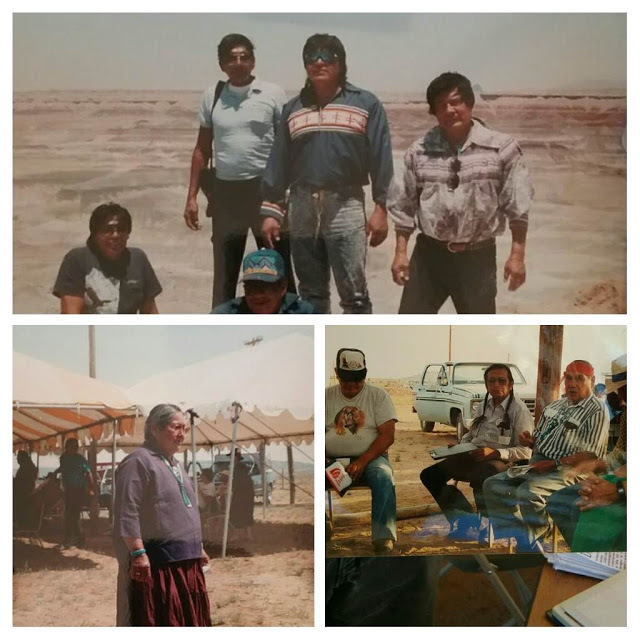 Seminoles from Florida, top photo, joined Dine' at the Dine' CARE gathering in 1990. Photos by Lori Goodman, Dine' CARE and Bradley Angel. Happy Anniversary Brenda! I will lift you up in celebration today for all you've given us. Chi Miigwetch! !